The “Good Sense Budget Course” is to be offered again on Nov. 2 and 9. The morning session is 9 a.m.-12:30 p.m. The evening class will be 6-9:30 p.m. You must attend both days to complete the course. Upon course completion, you will be eligible to apply for assistance for help with upcoming winter heating cost. Call 785-828-4888 if you are a resident of Osage County to pre-register for the class. The total number of households Help House served during the month of September was 196. The 2nd annual coat giveaway is under way. 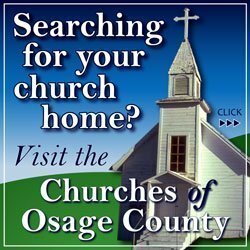 Anyone in Osage County is welcome to find a coat if you or someone in your family is in need of one, even if you are not registered with Help House. We have a large selection this year, so please stop by soon. You may choose one coat per family member. Our hours are Monday through Friday 10 a.m.-1 p.m. Volunteers are an essential part of the ministry at Help House. If you feel like you would like to spend a few hours a month or week serving others, we ask that you stop by and ask for a tour of our wonderful center. Visit with some of the other volunteers and talk to our director Pam Bilyeu, fill out a volunteer application, and let us know where your interest and talents are. If you are in need of assistance but wonder if you qualify, the following are the 2015 annual gross income guidelines according to family size (1) $17,655, (2) $23,895, (3) $30,135, (4) $36,375, (5) $42,615, (6) $48,855, (7) $55,095, (8) $61,335. Clients may come in one time a month and receive a three-day supply of food based on the family size. While there, they may also “shop” for clothing and household items. There is no charge for anything when you visit us at Help House. However all items are meant for personal use only and not to be sold online, at garage sales or otherwise. If it is discovered this has occurred that person will no longer be eligible for any assistance through Help House. 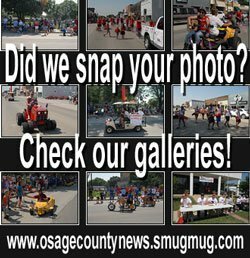 Help House is the Emergency Food Assistance Program (TEFAP) distributor for Osage County. The commodities are in addition to the client’s regular food distribution from the Help House pantry. You do not need to be a client of Help House to receive TEFAP. You will need to sign a declaratory statement that you meet the guideline set for the program. Donations of food, clothing and paper goods may be taken to Help House during regular operating hours, (non-food items may be left outside in the shed if you cannot bring them in during open hours). Each month the Harvesters Rural Food Pantry times and locations are as follows: (No income documentation is required to receive food at the mobile pantries) Carbondale – second Tuesday from 12-1 p.m. at the Carbondale Church of Christian Fellowship; Melvern – 12:30-1:30 p.m. on the third Thursday at the community center; Osage City – third Thursday from 10 a.m. to 12 p.m. at Osage City Community Center, 517 S. First St.; Lyndon – third Friday beginning at 12 p.m. at Jones Park in Lyndon. 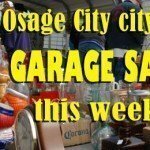 For more information, call Bilyeu at 785-828-4888; email [email protected]; on the Web at www.osagecountyhh.com, or like us on Facebook at Osage-County-Help-House. Help House is located at 131 W. 15th St., Lyndon.